Thanks to your reviews, we’ve once again been voted as a leader in Inbound Call Tracking on G2 Crowd, the world’s leading business solution review platform. We’ve earned 337 customer reviews, out of which 95% rate us between 4 and 5 stars. That’s pretty incredible! It has been a great honor to be able to serve such a diverse set of customers, and meet their full spectrum of call attribution and call management requirements. 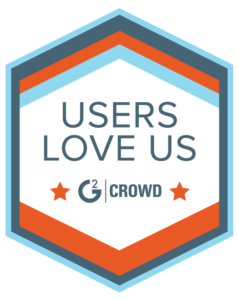 G2 Crowd only allows verified professional users to leave reviews, and they use strict guidelines to calculate their product rankings, so this report is incredibly meaningful. Rankings on G2 Crowd reports are based on data provided to us by real users. We are excited to share the achievements of the products ranked on our site because they represent the voice of the user and offer terrific insights to potential buyers around the world. If you have not yet provided feedback for us, we would really love to hear from you! We consider customer input to be extremely valuable, and we’re always striving to better serve the needs of our clients. Many of the features on our development roadmap are the direct result of customer feedback, so again, we truly want to hear about your experience.